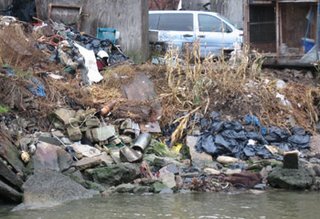 Re-photograph site where trash is being dumped into the Harlem River at a property owned by a church in the Bronx. Riverkeeper is trying to negotiate a cleanup without resorting to litigation. 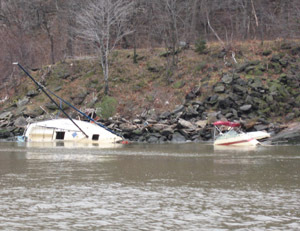 Also, photographed three wrecked pleasure craft at Dykeman Marina on Manhattan. Poor management at this marina results in one or two boats becoming stranded or sunk each season. The marina is owned by NY City Parks.